Robots can work alongside humans to improve productivity and product quality, in a process called Man Robot Collaboration. As robots become smarter, more effective and safer, they free up employees from tedious tasks so they can focus on more value-added work. Stäubli’s new generation of TX2 collaborative robots provide automation solutions to meet production requirements in a range of industries. The TX2-90XL robot has a payload of up to 9 kg with a reach of 1450 mm. Stäubli opens a new chapter in this relationship, combining safety and speed thanks to exclusive functions such as Safe Speed, Safe Tool, Safe Stop and Safe Zone. All safety functions meet the strict requirements of safety category SIL3-PLe. The compact size of Stäubli robots reduces their footprint. With their large work envelope, they are designed for a wide variety of applications. To meet the needs of all markets, our robots come with an optional vertical cable outlet. It is located underneath the base for optimal protection of connections in sensitive environments. 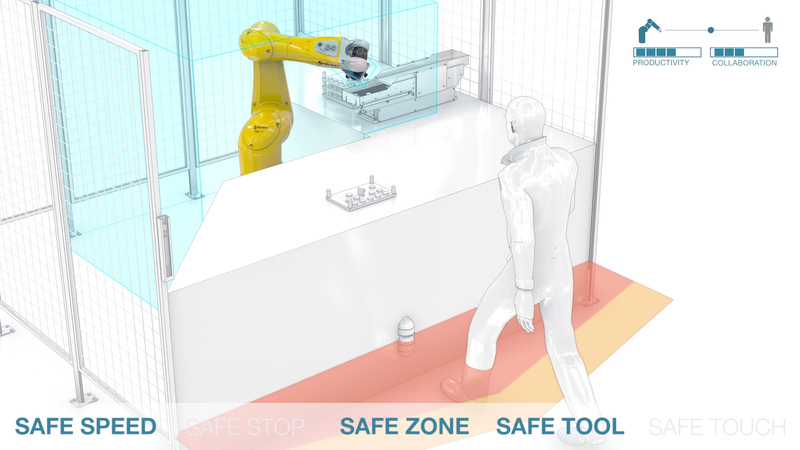 For greater flexibility, Stäubli robots have multiple mounting configurations (floor, wall, or ceiling) to make it easier to integrate the robot into the production chain. *With specific configuration. Contact us for details.